Pearl-an organic gemstone is formed by living creatures such as oysters and mollusks. It is produced when tiny stones and bit of sand gets inside the mollusk’s shell. Creating a solid pearl can take up to seven to eight years. It is one of the most magnificent and precious stone, which is used for jewelry and ornamentation. These stones can be compared with our own development and struggle for our inner growth. We can change and grow beautiful - this is the message, which a pearl signifies through their development and struggle. It is believed to absorb the negative energy from the wearer and rebounds the energy back with positive traits. In fact, pearl serves the wearer when he or she needs to deal with self-confrontation. Pearls are very popular wedding gifts and they are the symbol of pure divine love from the person who gives you these charming stones. These stones have curative powers due to the calcium content in the substance and protein from its original source. The finest saltwater pearls are produced in the Persian Gulf, it is known as the largest natural pearl center. Other important sources include coats of Australia, China, India, Japan, many Pacific islands, Venezuela and the rivers of Europe and North America. The pearls are well-known for their healing properties for centuries, they are also considered as a medicine. Drinking pearl water regularly over a long period helps the wearer to stabilize the production of hormones in their body. It is believed that wearing a pearl necklace, alleviates the chronic headaches and migraines. The magical powers of Pearl stimulate the sexual energy into the wearer’s body and make their visual acuity stronger. This gracious stone is beneficial for the heart, lungs, kidneys, urinary system and liver. It also works for numerous diseases such as tuberculosis, asthma chronic bronchitis and many more. Pearl also reduces allergies and promotes wisdom and contentment into the old age. It has been used throughout the medicinal history to cure the issues related to the digestive tract and muscular systems. These stones are best at curing skin related problems. Calmness and serenity are something pearls are considered to provide to the wearer and it also promotes faith, trust, honesty, and purity. The women are believed to connect with their inner goddesses to obtain the definitive feminine energy. Pearl necklaces are believed to warn sensitive natives of imminent disaster. Previously, it was considered that the pearls brings inner wisdom and helps the wearer in nurturing the growth of love. Though, it is beneficial in these areas until today. As a spiritual healer, the pearls are believed to enlighten the wearer’s mind and inspire them to share their experiences with others. Pearls are not only gems, but they are an authentic storehouse of goodwill and positive feelings. They play a major role in connecting the wearer with spirituality that exists in the world. Pearls are considered to stimulate the Third Eye Chakra, which helps the person in developing their psychic seeing and intuition. Pearl should never be mixed with other stones, especially with diamond, as it can cause conflicts between both of these gems and their combination could create a lot of dissonances. Pearls are believed to be lucky for people who came to the Zodiac sign Cancer. In ancient times, pearls have been worn and well-liked by people for over 5000 years. Pearls are always associated with royalty and with other precious stones such as ruby, emerald, diamond and sapphire. About 4,000 years ago, the Persian queen Achaemenid wore a pearl necklace, and that is still is. Pearls were believed to be the important ingredient of the immortality elixir. 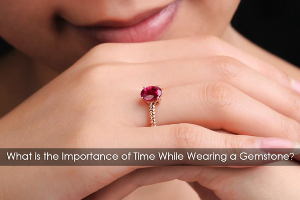 It is considered a bit precious organic gemstone that is formed by certain shellfish as a protective device. The Pearl has always been the symbol of women’s perfect beauty. It is created with the help of living mollusk, grain of sand and living creatures. The irritant is a nucleus of the pearl and mollusk’s shells are lined with nacre, which is a polished lustrous substance. The obtrusive irritant or nucleus of pearl would be concealed with many layers of nacre, and eventually, a pearl formed. The crystallization of Pearl consists of Calcium Carbonate and other organic substances. It accumulates when an overseas body such as a bit of sand penetrates an oyster. 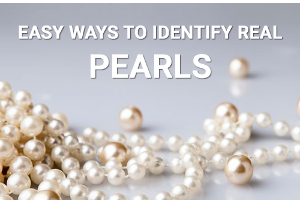 The colors of pearl include silver, cream, gold, green, blue, black and always gleaming. These colors have sometimes been allied with some positive qualities. I was taking Pearl simply as an ornamental stone but after reading the content above I have come to know that this charm have many useful powers and properties. Thanks Jewelexi for sharing. Pearl is a birthstone for the people who were born in the month of June. Pearl is a beautiful charm and I am totally captivated towards it. I also want to try its healing powers and properties. Should I go for it? Suggest please. Pearl is such a beautiful talisman which is good not only in its glimpse but also in its helpful features too...i also tune this gemstone...it works similar to my needs...i have found it helpful for me...thanks Jewelexi for sharing such a useful information...this made me aware of all its powers and properties even those of which i was not aware...thanks once again..
We are delightful having the customers like you who doesn't forget to share their thankful gratitude about any service. This kind of steps from your side, raise our confidence, and we again get compelled taking a pledge to work even harder to meet your expectations. Moreover, we welcome all kind of suggestions from your side that are necessary to adapt to imprint footprints in the market. Pearl is a semi precious stone. it is really beautiful. In my city many people wear it. Besides, i have some love relationship issues in my life and want to solve them all.. so please help me!! hello Nancy! 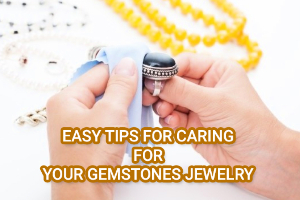 we are happy to inform you that we have "ms mittens" a free astrology service in which you can ask all your queries related to various type of stones as well as jewelry. so please ask your question over there and we would b happy to help you further. Your pearl jewelry is really beautiful. I bought some and received as shown at your website.